The Galaxyhydro LED grow light is designed for the indoor grower and can emit light that supports both vegetative and flowering growth cycles. It is a high powered LED light that emits 9 bands that include red and blue spectra, as well as wavelengths in the UV and IR range. The light wavelengths are designed to ensure a quality PAR value which research reveals is best for optimizing plant development, growth, and yield production. 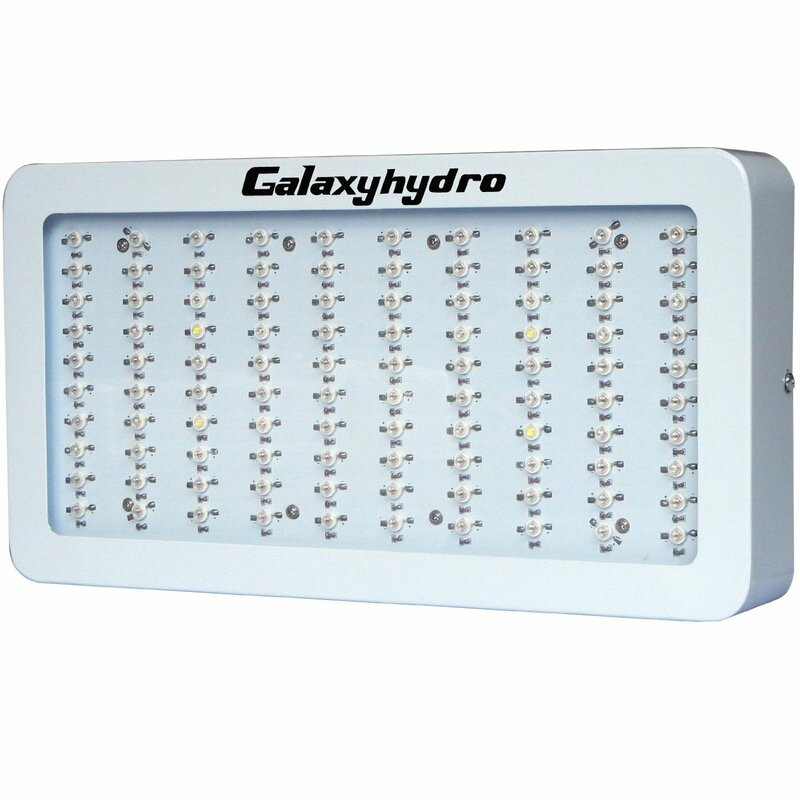 The Galaxyhydro is a generally inexpensive panel, in the realm of LED grow lights, that includes great technology. It is efficiently built to accommodate the needs of an indoor grower. 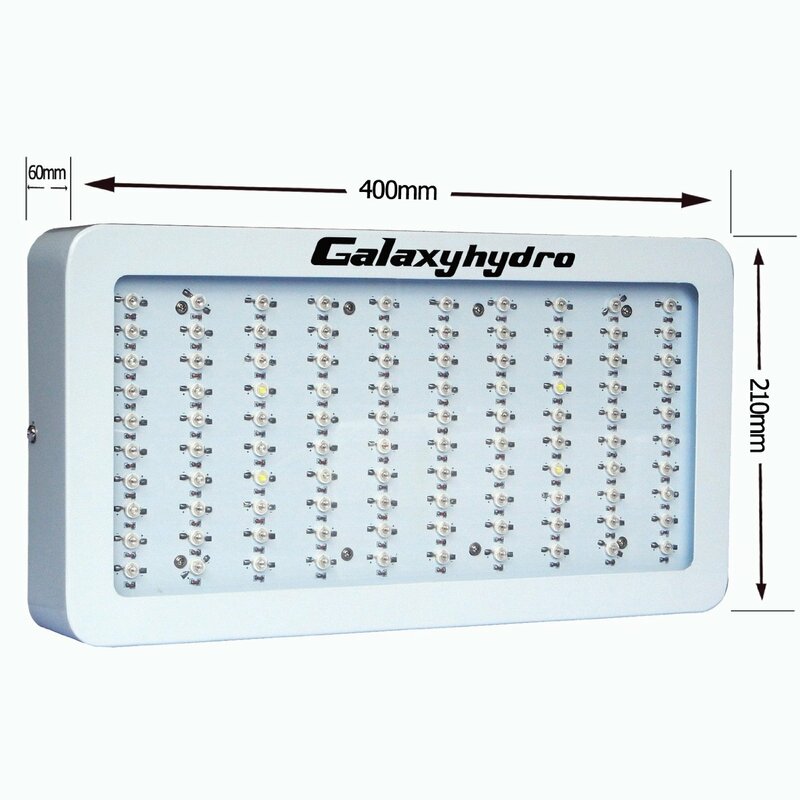 The Galaxyhydro is a great light that is built to give several small plants a beneficial blend of research proven light spectra. Throughout the rest of this LED grow light review, comprehensive data will be provided so that you can determine if the Galaxyhydro LED grow light is the Best LED grow light for your specific growing situation and needs. The Galaxyhydro is a full spectrum LED grow light which means that it includes light wavelengths that cover the photosynthetic active radiation zone or PAR. This is important because not all grow lights provide light that support adequate PAR values in such a comprehensive way. The Galaxyhydro includes 9 bands of spectra that will optimize growth during all plant grow stages. The light emitted by the Galaxyhydro is designed to align with light emitted by the sun. The Full Spectrum 9 band wavelengths include blue light spectra, red light spectra, as well as UV and IR and white light. The light spectrum ranges from 430nm to 730nm. Blue and red light spectra are proportioned to enhance PAR value and give plants the correct “light recipe” to optimize growth and yield. The Galaxyhydro has a dimmable feature that gives the grower power to control the light intensity. 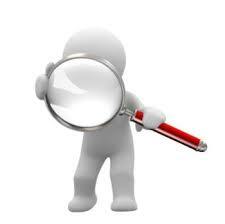 This is a big plus for growers that like to fine tune aspects of the growing process in order to optimize results. The light intensity can be tuned from a dial that is located on the back of the unit next to the power switch. Options are always better in a grow light, and this option gives the grower the ability to fine tune the light instead of changing the height of the light’s hanging position. As a plant grows from seed, growers often change the hanging position of the grow light in order to maintain optimal light penetration without being too close or too far from the plant. The dimmable switch can give growers this control without having to change the light’s hanging position. 300 watt LED grow light – growers should keep in mind that this device is rated for 300 watts, but the actual power draw is often a bit below the rated wattage level – measurements not conducted by Galaxyhydro reveal that the actual power draw comes in around 170 watts. The Galaxyhydro LED grow light contains Epileds inside. I have not yet had the opportunity to review other lights containing Epileds inside. 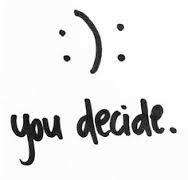 That being said, I have no standout negative information to share regarding Epileds. According to the Epileds website, the chips are featured with high efficacy, low power consumption, a long life expectancy and a full wavelength range from 380nm to 850nm. 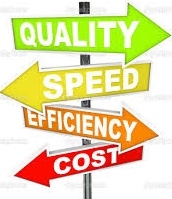 Epi LEDs Co. Ltd. was established in June of 2006. The company is approved by the National Science Council and is located in Tainan Science Park. Light spectra includes: UV 380~400nm, 430~440nm, 450~460nm, 470nm, 610~615nm, 620~630nm, 650~660nm, white light, IR~730nm. The UV range ( approximately 380nm) can encourage coloring and thickening of the plant. Since UV light is part of the natural light a plant would receive from the sun, it can be beneficial and can encourage healthy plant development when utilized proportionally. This wavelength is not one that is needed in ample fashion, it can support proper plant development when part of a full spectrum approach. The IR range (730nm and beyond) is also part of the natural light spectrum emitted by the sun. It should also be minimally used as part of a full spectrum light recipe for plants. IR closer to the 730nm range can act minimally to excite chlorophyll production. Again, it is not needed in abundance but can support well rounded plant development when used proportionally in a broader light recipe. White light is also added in in small amount to, in essence, cover additional bases. Cool white light LEDs can be electrically efficient and can support leaf expansion and vegetative growth. Wavelengths 430nm through 470nm incorporate the purple and royal blue light wavelength range. This range is vital for maximizing photosynthesis to excite peak absorption levels which optimizes vegetative growth. Wavelengths in the 610nm through 660nm range consist of red and deep red wavelengths. 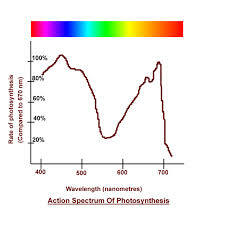 Wavelengths that occur in the visible red spectrum help to maximize chlorophyll absorption. This range is very powerful and necessary for the flowering and bloom stage of plant growth. This range has a primary influence on plant photosynthesis. It is always reassuring to know that a product that you decide to invest in comes with a warranty, especially when the product is tech based. The Galxyhydro comes with a two year warranty plan. Growers can feel assured that if the Galaxyhydro is the LED grow light that best fits their needs, the company will stand behind its product for the first 24 months. Well, if you are willing to try out a Galaxyhydro product that may have been identified as “open box or used” by Amazon, you may get 60 percent off of the listed price. This deal is not too bad if your willing to gamble a little on a used product. It is not too much of a gamble though since Amazon runs a 30-day return policy. Be sure to test the product right away if you decide to go this route. This comprehensive LED grow light review reveals that the Galaxyhydro LED grow light is one that could benefit an indoor grower in need of a light to begin a grow project with several plants. The Galaxyhydro light covers all the growing bases by incorporating red, blue, and white as well as UV, and IR. It is a great light for the price and should be seriously considered. The dimmable feature is an added bonus that not too many other grow lights offer. 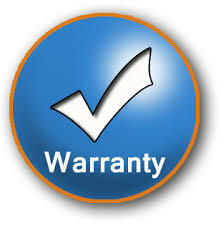 The two year hassle free warranty is also a plus. This light is a good option for the beginner, and for those that are seeking more power and more light coverage area, the lights can be linked with the daisy chain feature which will reduce the amount of power cords and outlets needed in your grow area. My hope is that this comprehensive LED grow light review helps you to find the best LED grow light to suit your specific indoor growing needs. Time to grow big at home! Thank you for providing all the information on the Galaxyhydro, with your details I now feel confident and well informed about the product. Thanks a lot for this review. It helped me decide on this one. I can’t wait to try it out when it arrives! Thanks , looking for a cheap light to start a grow,also have a glance at the mars 300.Let me consider again.